A regional director of the California Democratic Party has resigned amid allegations that he raped a woman at an Executive Board meeting in November, 2016. Craig Cheslog was recently accused by multiple witnesses of acting “in an inappropriate and sexually aggressive manner” towards a colleague at the Westin San Francisco Airport Hotel in November. Seeing his behavior prompted a 23-year-old woman to come forward with allegations that he raped her after the meeting last year. A Statement of Charges letter seeking his ouster from his position as the Region 2 Director, signed by four officials, was provided to the Gateway Pundit by American Children First. 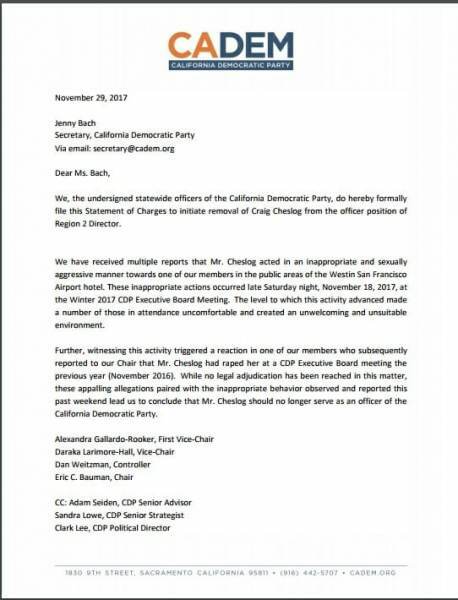 The letter details how they had received multiple reports about Cheslog’s inappropriate sexual behavior following this year’s meeting meeting where, ironically, sexual harassment of women in politics was a major topic of discussion. During the meeting, the California Women’s Caucus had passed a resolution stating that any sexual harassment would lead to the loss of party membership. The woman who made the accusation, Maddie Dean, has went forward to the LA Times. “This was about protecting other women and in particular other young women,” she said of reporting the assault. 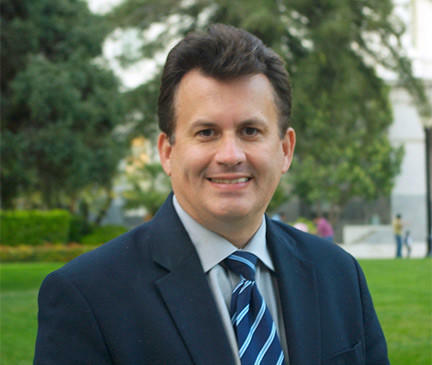 For his part, Cheslog did not admit any guilt or wrongdoing, and said in his letter to the CA Democratic Party Secretary that he was resigning to stop the allegations “from creating a distraction with the party at a critical moment in national and state politics.” He has since locked down all of his social media accounts, setting them to private. The Gateway Pundit reached out to Cheslog and the California Democratic Party for comment and will update this story if one is provided.